Contract Duration: 1 year with possibility of Extension based on funding availability. The Field Facilitator reports directly to the Project Officer (PO) and is responsible for the implementation of Right To Play project activities and providing support and guidance to the community team in using RTP tools in the project location. • Bachelor’s degree in Education or any related discipline. • Experience implementing a development program with local populations in both rural and urban settings. • Experience in training, leading workshops and teaching. • Personal sport and activity background with coaching experience. • Holds a valid driver’s license for motorbike. Right To Play is a global organization committed to improving the lives of children and youth affected by conflict, disease and poverty. Established in 2000, Right To Play has pioneered a unique play-based approach to learning and development which focuses on quality education, life skills, health, gender equality, child protection and building peaceful communities. With programming in over 20 countries including Tanzania, Right To Play transforms the lives of more than one million children each week using play and sports, both inside and outside of the classroom. In addition to our work with children, Right To Play advocates with parents, local communities, and governments to advance the fundamental rights of all children. Right To Play is headquartered in Toronto, Canada and has operations in North America, Europe, the Middle East, Africa and Asia. Visit us at www.righttoplay.com. In Tanzania, Right To Play is legally registered under the NGO act of 2002 with certificate of registration number 12343 and certificate of compliance number 1501, reaching more than 113 pre-primary and primary schools in Dar Es Salaam, Morogoro and Mara. Bachelor’s degree in business administration, management, social sciences/project management or other related discipline. 3 years’ experience in project administration or community work including managing direct reports. Fluency in spoken and written English and Swahili language (s).. The Training Officer will be based in Dar es salaam with up to 50% of time travelling to Right to play project areas in Morogoro and Mara. Bachelor’s degree in education, adult education or other related discipline. Fluency in spoken and written English and Swahili languages. If you are interested in applying for this position, please send your resume and cover letter to: TanzaniaHr@righttoplay.com and kindly include title you are applying to and your name in subject line. Please indicate your salary expectations in the cover letter. For the Field Facilitator position, please specify if you apply for Mara or Morogoro). While we thank all applicants for their interest, only those selected for interviews will be contacted. Right To Play provides equal employment opportunities to employees regardless of their gender, race, religion, age, disability, sexual orientation or marital status. We offer a family-friendly environment, that allows for flexible work arrangements to support staff diversity and ensure a healthy work-life balance. 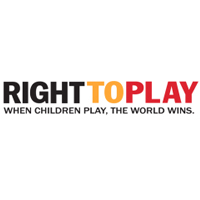 To learn more about who we are and what we do, please visit our website at www.righttoplay.com. Resident of respective regions are strongly encouraged to apply.